Life insurance protects your family from financial catastrophe should you die unexpectedly. It’s a replacement for lost income. Like other states, Kansas regulates life insurance through its statutes and through regulations issued by the state insurance commissioner. Life insurance proceeds pass to beneficiaries named in the contract and are not governed by your will. Changing a beneficiary is usually as easy as filling out a form, but not always. Each life insurance contract comes with its own beneficiary form. Your beneficiary gets the insurance money -- which is not subject to income tax -- upon your death. You may specify as many beneficiaries as you want and divide the proceeds among any number of beneficiaries. It’s a good idea to name a contingent beneficiary in case your primary beneficiary dies before you. A change in family circumstances such as marriage, divorce, birth or adoption can create unintended beneficiaries. Experts say it’s prudent to consider updating your beneficiary form after a major life event. A life insurance beneficiary can generally be changed in Kansas by the owner of the policy at any time for any reason. Usually, the owner and the insured are the same person, but not always. You have no right to change a beneficiary when another individual owns a policy on your life. Generally, anyone can insure an individual’s life provided there is consent and a financial connection. Get a change of beneficiary form from your insurance agent or company and sign it in front of a witness. Once submitted, it will bear the time and date to prove it was completed after the original policy. While it’s usually not a problem to change a beneficiary, many insurance companies have their own rules and processes you must follow. Check your contract. A change in beneficiary may be made after the policy is taken out, but there are two primary exceptions. 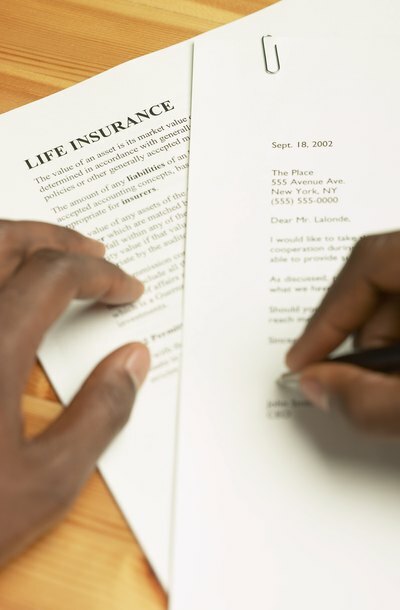 Although rare, a life insurance contract may expressly prohibit any change in beneficiary. Also, you cannot make a change when the person named in the contract is designated an “irrevocable beneficiary.” As the name suggests, an irrevocable beneficiary cannot be removed from a policy unless the beneficiary consents. That’s because an irrevocable beneficiary can be viewed as a “co-owner” of the policy and changes require the consent of all owners. If you die without naming a beneficiary, your life insurance benefit will go to your estate. Your will then controls who inherits the money. If you have no will, state inheritance laws govern the distribution of the life insurance proceeds that have become part of an estate. Kansas law describes which relatives inherit how much of your estate -- rules that are referred to as laws of "intestate succession." Once a policy becomes an estate asset, it becomes subject to creditors, who can siphon significant amounts of money meant for your beneficiaries. American Institute of CPAs - 360 Degrees of Financial Literacy: Can I Change the Beneficiary on My Life Insurance Policy? If So, How Do I Do It? Insurance Providers: Can You Get Life Insurance on Someone Without Them Knowing?